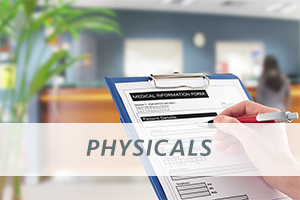 Sports physicals are beneficial for those in sports teams, school PE or other physical education classes, those looking to get involved in new sports or try out for a sports team. It is imperative to get a physical before beginning any rigorous exercise and will help you prevent injury. Some teams and gym programs require sports physicals. We provide our patients the most efficient and affordable work/employment physicals in the Topeka Area. Individuals seeking an employment physical will find that coming to Beckley Chiropractic will make the process of getting a physical and obtaining results as hassle-free as possible. We do our best to save you money and time.